CSRA’s experiential social media services and social business help CEOs, CDOs, CMOs, Chief Customer Officers and CIOs to use disruptions like customer empowerment, social media, mobile, big data and Web 3.0 to seize unusual advantage. All our work leverages the Social Network Roadmap(SM). Its rigorous analytical and ethnographic research methods enable us to understand user behavior and organizational realities, so our recommendations are realistic and effective at producing business results. Our clients outperform because they avoid the mistakes their competitors make. Due to the strategic nature of our work, we usually serve as facilitators and partner with our client’s management. 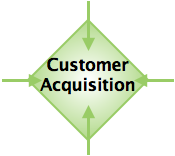 Engagements address all parts of the social business life cycle. To appreciate the relationship between experiential social media and social business, read this short summary. In 2015, CSRA released the Social Channel App (Beta), an interactive guide to experiential social media and social business for executives. The App features two versions of the Social Network Roadmap and enables users to get started with a DIY approach. The beta edition also shipped with two business applications, Customer Experience and Employee Engagement, as well as an experiential Guide to Social Media Platforms. CSRA uses the IP/tools here to create specific engagements (for examples, see How We Work). Customer experience can be approached incrementally or strategically, but the experiential approach is inherently transformational for many firms, depending on the current state of their customers’ experiences. Most firms unknowingly retain a 20th century impersonal, utilitarian attitudes toward customers, who now prefer being treated personally. Most important, when customers feel that firms care for them personally, they spend more readily and are less price sensitive. CSRA’s Customer Experience service is designed to unfold in several phases because it involves several parts of the organization that interact with customers. Benefits are compromised when different parts don’t offer a cohesive experience. We use an agile approach, beginning with ethnographic research to learn what customers value most. Then we move into interaction as soon as possible to test and adjust our understanding. The agile approach saves time and money by understanding customers before adjusting organizational processes. Our understanding also enables us to suggest the optimal place to start because we know what customers value most. Like Customer Experience, Employee Engagement almost always involves organizational transformation, although we can approach it incrementally in certain cases. For starters, CSRA calls our service Employee Experience, not employee engagement because “engagement” is the result of experience. It usually involves several steps. Your employees’ energy, commitment and performance reflect how they feel about their relationship with your firm and their colleagues, so we begin by using ethnographic research to understand their experience in the real world. Unlike surveys, which are well intentioned but relatively ineffective, you get the real story when we study employees’ interactions among themselves in digital public. We understand the outcomes they want from their jobs as well as their motivations behind those outcomes. Most firms unknowingly have a 20th century attitude toward employees, which the research reveals, so its findings are often breakthrough in themselves. Results enable us to begin adjusting communications, processes and policies by choosing the things that have the biggest impact. We use an agile process to test and iterate our understanding of your employees’ experience, and we use ethnographic indicators to measure the impact of the changes we make. Growing your best customers’ share of wallet can be an incremental process, but it’s best approached in successive phases. It begins with ethnographic research on customers’ most relevant interactions in digital public. 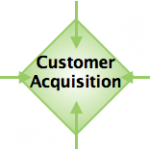 This analysis develops a broad understanding of your best customers’ behavior and motivations. Then we interact with them in digital public to verify our understanding by supporting the outcomes they want, thereby satisfying their motivations, too. We use experiential social media to activate the Trust-Business Chain Reaction. We use trust-based metrics to measure the impact of our interactions, which also serve as additional research that guides our recommendations for adjusting your business processes, policies, and, later, even products and services themselves. In effect, experiential becomes a fast-cycle innovation loop since you have real-time insight into the meaning of your products, services and brand to your best customers’ lives. We build our recommendations on our verified understanding of stakeholders’ actual behavior and motivations, so we can sequence transformation, beginning with the highest impact changes first. We use trust-based metrics that analyze social and commerce data to measure the impact of the changes we make continuously. Digital Transformation services are focused on redesigning your business processes, and its context ranges from firmwide to business units and product pods. CSRA’s methodology derisks transformation in many ways. First, we use ethnographic research to analyze your most important stakeholders’ behavior and motivations by analyzing their digital social data when they’re interacting in large groups about the situations in which you are most relevant. Our business cases are built on real verified data on users’ actual behavior. Combined with organization and transaction information, we have a full picture of organizational capability and user wants, and we use that to redesign processes. Digital Business Transformation is a full life cycle engagement that supports the enterprise, business or brand throughout the social business life cycle. See Enterprise use case (#5). The Chief Digital Office helps enterprise boards of directors, CEOs and CDOs (Chief Digital Officers) use digital technologies to transform the enterprise. It contains competency centers in: Social Business, Mobile, Big Data and Ecommerce. Chief Digital Officer Needs Analysis supports boards of directors or CEOs in evaluating whether they need CDOs, VPs of Social Business, and what kind they need. It uses social business strategy to assess digital business immediacy, business impact and current teams as the context for creating the digital team. Also supports executive recruiters in diligencing CDO searches. CSRA’s Social Business Strategy approach goes beyond Social Media Strategy because it presupposes some level of transformation that usually unfolds in two steps, the social business phase and the business innovation stage: 1) Social Media Strategy service gives your team the ability to interact in distinctive poignant ways and produce quantitative business results. We validate in the real world deep understanding of their desired outcomes and experiences. We guide the scale-up of social business programs and build teams for you. 2) Based on these results, we optimize changes in policies, business processes, packaging and even products and services in later stages. Social Business Strategy often addresses more than one phase of the Social Business Life Cycle, which details five stages of social business transformation. The Management Consulting Widget helps you explore working with CSRA. You probably invest heavily to attract new customers and clients and, depending on the business you’re in, this could be one of your top expenses. That’s why experiential social media can change the game. It works by identifying and engaging people whose goals and characteristics correlate most strongly with your best products and services. Moreover, since experiential interactions are so unusual and attractive, your customer acquisition process will scale strongly since large audiences view and appreciate your interactions with your highest value prospects, so they’re attracted, too. Experiential social media uses ethnographic research to understand your customers’ behavior as well as the motivations behind it when they use your products and services. It’s breakthrough because we focus on their behavior when they’re interacting among themselves and advising each other on getting better results. This is an order of magnitude better than the surveys that are the common practice. Since we understand the outcomes they want (also known as “jobs to be done”) and their emotional motivations behind the outcomes, you’re in the perfect position to adjust your processes and even products and services to meet their needs better. Moreover, since experiential calls for solving existing problems in digital public, your efforts attract new customers, too. Customer success is closely related to customer retention in its goals, but its processes are distinct because they involve your customer success team and software platform. We use ethnographic research to understand your customers’ outcomes and emotional motivations, so your CS team is empowered to relate to customers much better; moreover, we use experiential to engage and support your customers in digital public where everyone can see how effective and dedicated you are, which attracts more customers. We can also empower anyone’s customers, which can attract customers away from competitors. Customer advocacy is a result of how your customers feel about you, so CSRA’s Customer Advocacy service extends the Customer Retention or the Customer Success services. The experiential approach, since it’s focused on empowering customers to get better outcomes by supporting them in digital public, becomes an advocacy engine. The thrust of our approach to advocacy is to orchestrate customers’ ability to help each other, facilitated by you, so we avoid the mistake that many advocacy programs make: coming across as coercive. Experiential social media changes the rules of attracting employees as it does for customers. We conduct ethnographic research on your highest value employees, and we create experience maps for them that extend far before their employment with you and long after. This enables you to understand the significance of their employment with you. Like customers, employees have outcomes and emotional motivations, so our teams empower those outcomes in digital public, where the impact of our interactions scales. This tilts the recruiting game in your favor. Here we use experiential’s ethnographic methods to understand your employees’ behavior to an unusual degree, so you can better align people with your processes and communicate better to reduce misunderstandings. Best of all, most of our interactions happen in digital public, so the initiative scales and has recruiting benefits, too. “Public” in this case can refer to the Internet or your firm public, behind your firewalls. We also use experiential to significantly improve your profile on employee review sites like Glassdoor. CSRA uses experiential social media and collaborates with firms to create social media strategy that’s grounded in how stakeholders really act. We analyze their behavior in digital public using ethnographic techniques and validate our understanding by interacting with them to test the behavior we perceive, as well as the motivations behind their behavior. We determine the optimal venues in digital public to interact with them and create interaction and content plans to optimize efficiency with results that we measure using trust-based metrics that predict results you want. Then we mentor your team on experiential interaction during several pilots (we can also create and run a team for you). CSRA’s Social Media Strategy can apply to all of your presences or a subset of them. We improve your results by grounding interactions in stakeholder outcomes and their behavior across the digital social ecosystem. Virtually all social media treats people as marketing targets, so very few social media investments produce verifiable business returns beyond “marketing” and “brand” value. No money. We fix this situation for firms that want to focus on making money with social media. Our ability to do this is grounded in understanding and supporting the behavior and motivations of your most important stakeholders. Each platform can contribute to activating the Trust-Business Chain Reaction, although not all platforms are optimal spaces for activating it, but our research determines the best role for each presence, so you outperform. Please consider the services outlined here as illustrative; we can put experiential to work to reboot or launch any platform to achieve uncommon results. After ethnographic research, we usually mentor select employees in experiential interaction. That said, although we encourage you to develop internal competency, CSRA can also operate your platform presences. Facebook Page (Re)Launch—Virtually all firms use Facebook Pages for content delivery, and Facebook-the-company encourages this. However, meaningful interaction with high-impact stakeholders is the most effective content money can’t buy, and we use experiential to maximize relevant interaction on your Page. We also recommend how to use Facebook ads to empower stakeholder outcomes. Twitter Account (Re)Launch—Twitter is often the most effective popular platform for experiential interaction, and we take that ball and run with it. Twitter can be very efficient for interacting when the team’s actions are grounded in your best users’ behavior and motivations. YouTube Channel (Re)Launch—YouTube is an exceptional platform for empowering people although virtually all firm Channels share content about themselves and their products and services. CSRA refocuses YouTube Channels to empower the stakeholders that have the biggest impact on your business. The biggest overlooked opportunity on YouTube doesn’t even involve putting up videos! LinkedIn Company Page (Re)Launch—LinkedIn Company Pages and Showcase Pages can be excellent presences to engage your stakeholders but, like other platforms, relevant interaction gets best results. There are many ways to reboot these pages, but they usually involve a collaborative approach with Groups and Profiles once we’ve established a preliminary understanding of stakeholder behavior and motivations. Google+ Page (Re)Launch—Google-the-company as followed Facebook’s lead and morphed Google+ Pages into content delivery venues that only offer reactive interaction. Google+ is a gold mine for some stakeholders, and exceptionally few firms are aware of it, so it can be a significant opportunity. We use experiential to maximize your return by interacting with other Pages and Communities that strongly correlate with high-impact stakeholders’ behavior. Blog (Re)Launch—Blogs often have breakthrough potential when they are refocused on empowering stakeholders’ outcomes. Unlike popular social network platforms, blogs are open, interactive, and infinitely customizable. By using ethnographic research to understand your stakeholders’ behavior, we can create hyper-efficient processes to create unusually meaningful content, and we usually amplify the impact by using other platforms. The possibilities are endless, but the turning point comes from empowering people as the key design principle. Instagram, Pinterest, Snapchat, Vine, Slideshare, … (Re)Launch—We use experiential to launch or reboot platforms that have unusual meaning and impact on your users, once we’ve conducted research to validate that your stakeholders have interactions there that are meaningful to them and you. We maximize the interactive potential of any social platform’s features, so you outperform. LinkedIn and Facebook Groups—Unlike Pages, Groups are the most interactive venues on Facebook and LinkedIn, so we use experiential to make yours stand out. Each platform constantly changes Groups’ functionality, but we maximize the interactive potential within the functionality of the moment. Groups can be public or private, which offers additional possibilities. Google+ Community—Google+ Communities offer the best combination of functionality of any popular platform for interaction. They can be private or public and, along with a full range of social functions (likes, shares, etc.) they offer categories and powerful search capability, which enables you to heighten relevance by developing “channels” of interaction. We use experiential to focus interaction and content on stakeholder outcomes. CSRA often recommends using Communities along with Google+ Pages to maximize impact. Also see CSRA thought leadership and tools for platforms on the Executive’s Guide to Social Networks. At many firms, social media has growing budgets, teams, and supporting contractors even though few firms can consistently produce business results from social media. CSRA uses experiential social media to research and improve your social business/media management processes, which often impact multiple platform presences. CSRA’s ability to improve your governance and results rests on using ethnographic research to understand stakeholders who have the most impact on your business—and validating our understanding by interacting with them in digital public. Since we analyze real, not self-reported, behavior, we design processes that empower external stakeholders (often customers) and internal (often employees). Review Site Management—Review sites are often the biggest digital social opportunity out there, although few firms feel that way; they’d prefer the sites to go away. Experiential social media enables firms to approach review sites from a completely fresh perspective since it’s focused on empowering stakeholder (customers on Yelp, employees on Glassdoor) outcomes. Ethnographic research gives you the roadmap to become aligned with stakeholders to a rare degree. Review sites are rich with stakeholder outcome information and interactive capabilities. CSRA’s client work has consistently shown that firms that are aligned with stakeholders and show it in digital public cannot help but significantly improve their results. Social Media Takeback—Since social media is usually practiced as marketing, many firms have outsourced its content creation and light interaction to agencies. As more firms understand that interaction produces better results, they perceive agencies’ shortcomings and increasingly “take back” social media from external providers. CSRA’s Takeback service assesses whether the firm would get business value from insourcing social media. If there is, we co-create a staged plan for a smooth transition, and we build and mentor your team in experiential interaction and all other aspects of social media operations. Social Media Policy—CSRA uses an experiential approach to co-create/update social media/social business policy with employees. Most policies unknowingly show employees how little the firm trusts them, so they sacrifice business results for legal protection. The best thing is that this situation is completely unnecessary, you get more protection and results by engaging employees in the process. The co-creation process results in much better understanding of social media risk and it builds trust between the firm and employees. Social Media Monitoring/Management Tool Selection & Set-up—Very few firms have made optimal investments in social media monitoring and/or social media management platforms, which bundle monitoring with analytics, automation and other functions. I have noticed two extremes: either firms under-invest by not monitoring/managing consistently, so they miss key interactions, or they over-invest by underutilizing the platform they contract. Both impact business in different ways: under-investing generates opportunity cost when firms miss very relevant interactions that could result in building trust and business. Over-investing costs serious cash. CSRA’s Social Media Monitoring/Management service discovers and procures the optimal level of investment and mentors your team on how to maximize the return on it. Social Media Standards and Cohesion—Most firms’ social media presences are siloed or monolithic. The siloed approach prevents stakeholders from developing a consistent feeling about the firm, while the monolithic method repeats the same content on all platforms and underwhelms users. CSRA uses experiential social media to understand stakeholder behavior among platforms. Ethnographic research enables us to pinpoint what users of each platform prefer to do there, so we help you develop a distinctive feel on each platform while grounding all of them in your distinctive relevance to stakeholders. This increases their delight and communicates at the gut level that you care about them, so they develop a deeper emotional connection with you. Social Media Automation—CSRA uses experiential to optimize your operations on each platform for content delivery and interaction. Most social media management platforms have basic automation functions while others are very complex. We use the best of what you have and build little tools to automate the holes. We mentor your team on interacting very efficiently and build tools to enable them to minimize wasted time. CSRA uses ethnographic research to significantly strengthen traditional marketing, product, and innovation research. We can find new markets for their traditional product and service portfolios by understanding changing behavior. We can de-risk most parts of product and innovation life cycles because ethnographic research goes to the source of people’s emerging desires, frustrations, and dreams since it conducts structured analysis of interactions within community. Many mature brands find their traditional customers deserting their well established products and services because digital technology enables people to change their behavior en masse. Product launches and innovation efforts have high failure rates since markets and people are more volatile than ever (the Social Channel App explains these dynamics), and volatility everywhere continues to accelerate. Traditional marketing research benefits significantly from CSRA’s ethnographic analysis of social media because we deal with actual behavior, not survey or focus group participants’ self-reported behavior. The two work together very well; ethnographic research can enable research teams to avoid the product- and brand-bias that may be present by understanding people’s behavior first, then finding new ways to add value to stakeholder outcomes. Then surveys and focus groups can drill down. CSRA case studies show our work in action and, most importantly, results in hightech, financial services, professional services, government, retail, consumer products and more. My experience and tools enable us to manage risk and reduce engagement length.